Somebody's got to do the heavy lifting! "I want dirt," Darling Bride told me. We were discussing Mother's Day last week. During the past several months she and I talked about finch feeders and ice cream makers. 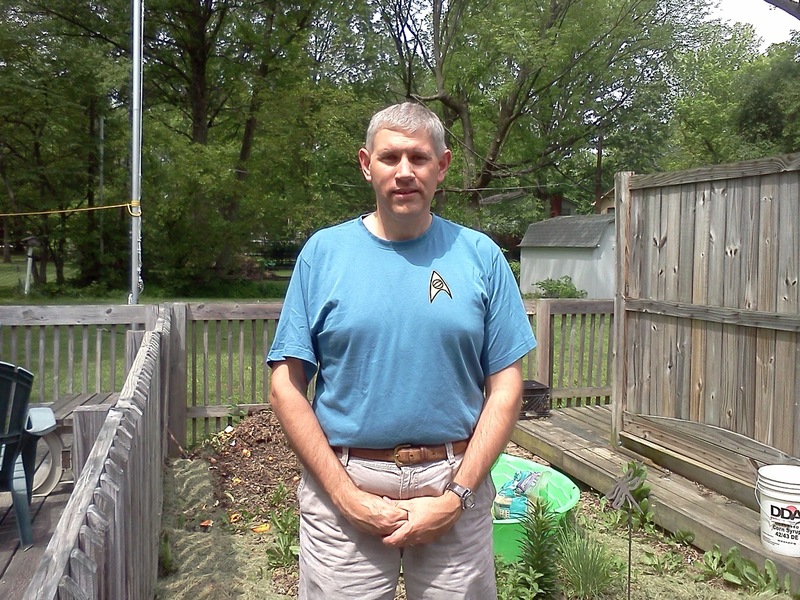 Now that gardening season is well underway, the decision was made. "Installed." Proof positive that we practice green gardening. So, leading up to Mother's Day, we got ready to get our garden caught up to speed. We are behind in planting. 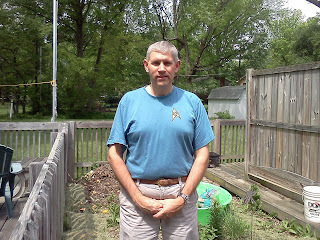 Having pulled weeds a couple of Saturdays ago, we laid grass clippings in the walkways and waited for Saturday. 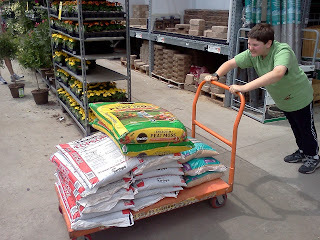 That afternoon, the kids and I took Darling Bride to Home Depot, got top soil, peat moss, and sand, and set up shop in our garden area. We love raised bed gardens. At a previous residence, we got wood, assembled boxes, and set them up. Now we are re-purposing some items (reduce, reuse, recycle). 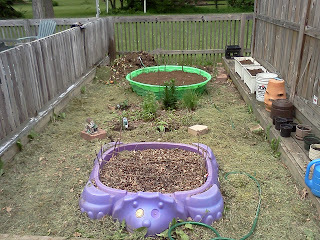 We have our old sandbox and a gifted kid's wading pool. Last year we turned the sandbox into a raised garden. 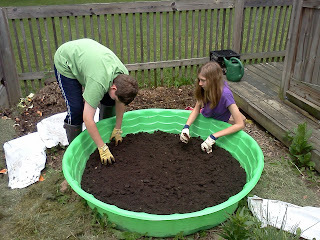 This year we drilled holes in the pool and "installed" the dirt. A layer of sand, a layer of topsoil, then peat moss, more sand, topsoil, and peat moss to top. We planted cabbage, cherry tomatoes, and beans. We also have assorted herbs, and catnip. Darling Daughter maintains the garden. Now we wait for the seeds to grow. I so appreciated this gift! We will get an earlier start next year now that the "hardware" is installed, unless we are moving again.